This is a homemade costume. The dragon was constructed from Paper Mache, wire, and fabric on wheels. My daughter's princess dress is also homemade. 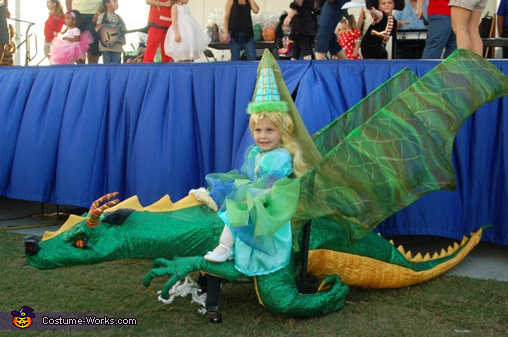 She stands through the middle of the dragon's body and is able to push the dragon along, the fake legs give the illusion that she is riding on the dragon. I had a lot of fun making this costume!! !